Homes for Sale Woodland Estates – Search All homes for sale in Woodland Estates. 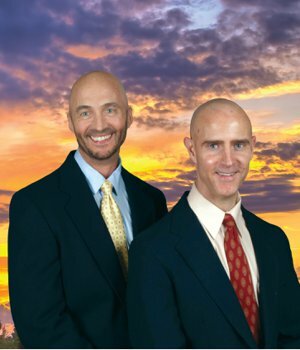 See all MLS Real Estate and homes for sale in Woodland Estates, Jupiter, FL. Homes for sale in Woodland Estates is a community nestled within the stunning natural Florida landscape. The winding roads of the Woodland Estates community are just off of Center Street, offering a convenient location just under a mile from I-95 and the Florida Turnpike. 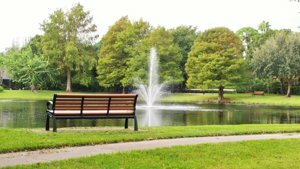 Residents in Woodland Estates here have beautiful views of the surrounding lakes and green areas, and they can live a relaxing lifestyle with lots of space. Woodland Estates homes are also near Jupiter’s fine dining, fun recreation and shopping destinations, and excellent schools. Real estate in Woodland Estates is made up of 95 single-family homes. Built in the mid-1980s, these homes boast large spaces of land. Homes in Woodland Estates range in size from 1600 square feet to just under 2500 square feet, letting you choose the best model for your needs. 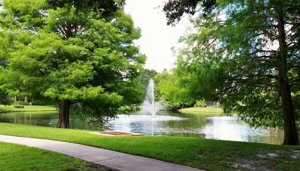 Residents can appreciate the Florida sun over the surrounding scenic lakes and natural preserves with sidewalks. To fully appreciate the gorgeous landscape, most homes feature expansive screened outdoor patios. Luxury amenities may include marble floors, walk-in closets, vaulted ceilings, open floor plans, skylights, wood-burning fireplaces, and 2-car garages. 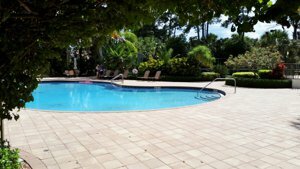 Residents do not have to go far to relax or socialize because Woodland Estates has its own community clubhouse, pool, and tennis court, which let allow all ages to have fun. The homes in Woodland Estates are close to Jupiter’s great recreational offerings. Since the Florida Turnpike and I-95 are so close, residents can make easy trips to Jupiter’s beaches. Practice your golf swing at one of the many 18-hole greens nearby, like the Golf Club of Jupiter. call the Woodland Estates Experts, Thom and Rory. A newer Jupiter attraction is Harbourside Place on the Riverwalk, only a short drive away from Woodland Estates homes. There is an amphitheater for various entertainment events, and visitors can stroll along the scenic waterway paths to experience fine outdoor dining and shops while listening to the sounds of soft live music. Ongoing approved plans to expand up the Inlet District will offer even more fun for Harbourside visitors. Jupiter Community Park has plenty of sports fields and courts in addition to playgrounds and picnic areas to keep all ages entertained. Pet-friendly areas and parks throughout the Jupiter area. Shopping and dining options abound for Woodland Estates residents. Legacy Place shopping mall offers stores that sell everything from fine jewelry to home furnishings. Hungry shoppers can stop in for meals at Five Guys Burgers, Moe’s Southwest Grill, and more. Local restaurant favorites include U-Tiki, Calaveras Cantina, Tommy Bahama, The Parisian, Bravo Italiano, The Woods, 1000 North, Giuseppe’s Italian, Dune Dog Cafe, Schooners, Jetty's, and Mr. Gyros Greek and Mediterranean Grill. GET TO KNOW MORE ABOUT JUPITER HERE. Residents of Woodland Estates are served by the School District of Palm Beach County. Many schools offer top-rated programs, including the highly acclaimed Jupiter High School. Their proximity to Woodland Estates homes make living here ideal for families. Several private schools offer alternative education. HOMES IN THE WOODLAND ESTATES COMMUNITY WILL GO QUICKLY. BE SURE TO GET ON OUR ADVANCED NOTICE LIST TO RECEIVE IMMEDIATE NOTICE OF THE LATEST LISTINGS PRIOR TO OR WHEN FIRST PRESENTED ON THE MARKET IN THE MLS. To get on the Woodland Estates waiting list Call: 561-741-9666 or Text: 772-349-8466.